Global Music Awards seeks original music from musicians, bands, singers, composers, faculty and students. Global Music Awards is a top-tier international music competition that honours talented artists. It is a showcase for original music and unique voices. Global Music Awards welcome your participation. The next Entry Deadline is June 03, 2016. After your submission is received your entry goes through a multi-layered judging process including listener impact, technical quality, uniqueness and styling. All first-level judging is conducted by Global Music’s in-house professionals. 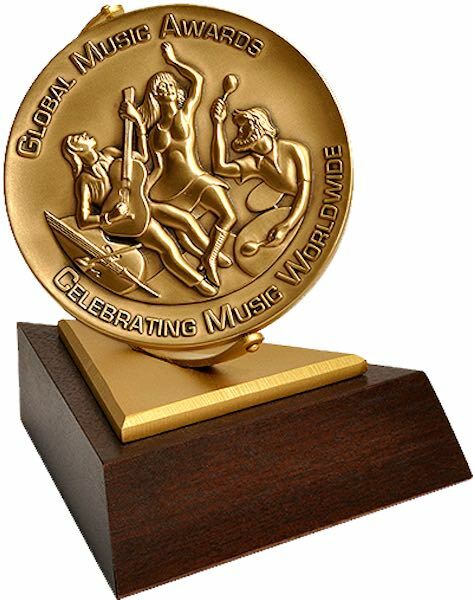 All the entries recommended for Gold, Silver, and Bronze Medals are carefully screened by Global Music Awards Founder and CEO, Thomas Baker, Ph.D., who has more than a dozen years in film and music. Dr. Baker produced an award-winning television series in cooperation with the University of California and created the Accolade Competition, Indie Fest and the Best Shorts Competition. Entries judged to be potential Gold winners may be sent to outside judges for additional review. We carefully maintain consistency across judging categories and maintain high standards in our music talent competition. Submissions may be of any genre, any length. Songs in other than English must include a copy of the written lyrics. Entry fee for the first judging category is $50 US. Each additional judging categories you add is an additional $25. Written comments describing your entry and publicity materials are invited and helpful during the judging process. Click to enter your music.